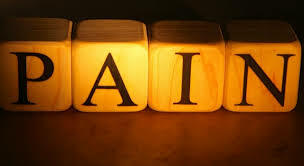 If you suffer from pain, you may be looking for any type of pain solution. You cannot think about anything you are doing because the pain is intense. Nothing you take seems to help. The pain continues and puts you at a constant level of discomfort. This is when you may need more advanced treatment options for your pain. Nerve blocks may be something your pain doctor in New York City offers to you. What is it? How can it work to reduce the amount of pain you feel even if there are other treatment options that have not worked for you? The nerves in the body are a complex network that links every component, organ, and area of your body to the brain. They send messages from that area to the brain to tell it when something is not right. These nerves are what tell your brain there’s pain and to do something to resolve it. However, sometimes these nerves become damaged. They may over communicate with the brain. And, in some cases, there just is no treatment for the pain. When this happens, your doctor may encourage you to use a nerve block, which, in essence, helps stop the communication between the brain and the nerves. They can treat painful conditions using a local anesthetic. This is a therapeutic function. Diagnostic nerve blocks can help doctors to determine what the underlying cause of the pain is. Doctors can also use nerve blocks called prognostic nerve blocks to produce the outcome of a specific type of treatment they are using or considering, such as whether or not surgery would help. Preemptive nerve blocks work as they seem, to prevent pain from occurring as it relates to a procedure that is approaching. They can also be used as a treatment. This may help a patient to avoid the use of surgery for care. 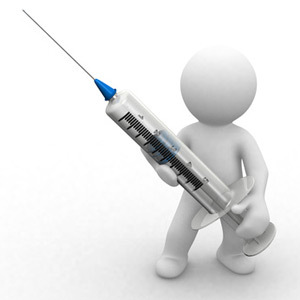 Nerve blocks are one source of pain management available to doctors. It is important to consider that this is not always the best solution for each person. When you meet with your NYC pain doctor, you’ll learn more about your options. Contact our New York pain doctor today at 646-862-5555 to discuss your needs and to find out what treatment options may be exactly what you need. How Do Spinal Cord Stimulators Aid In Pain Relief? How Do Anti-Seizure Medications Treat Pain? ← What Can a Pain Doctor Do for You?